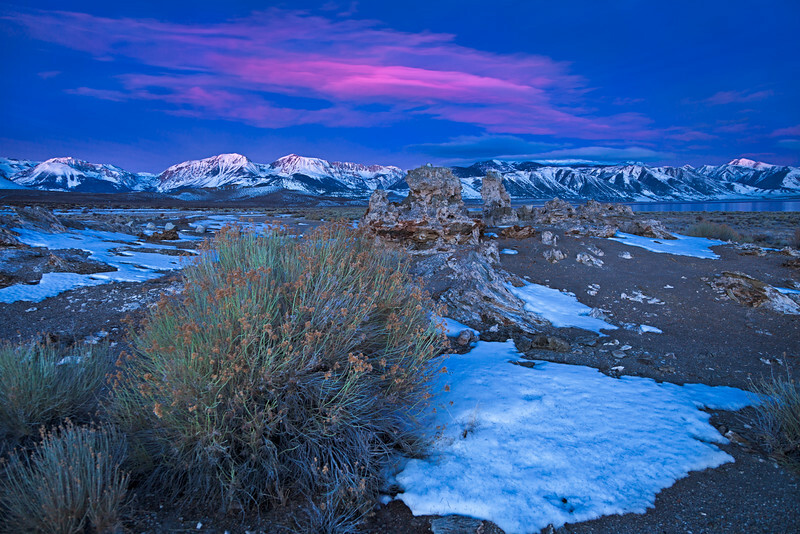 The rising morning sun painted this lenticular cloud pink as dawn unfolded in the Mono Basin. I captured this large rabbittbrush and eroding tufa in the foreground with the snow covered Eastern Sierra in the background. The pink lenticular cloud was like the cherry on top of the sundae, the perfect compliment to the composition.